In fact, two-thirds of the Energy Department’s budget is spent on maintaining and protecting our nuclear arsenal, which Perry clearly doesn’t know much about. In his 2012 bid for the GOP nomination, Perry proposed abolishing the Energy Department before forgetting what it was even called. Now this dunce will likely be in charge our country’s most powerful weapons. This is sure to go just fine. For Mr. Moniz, the future of nuclear science has been a lifelong obsession; he spent his early years working at the Stanford Linear Accelerator Center. Mr. Perry studied animal husbandry and led cheers at Texas A&M University. 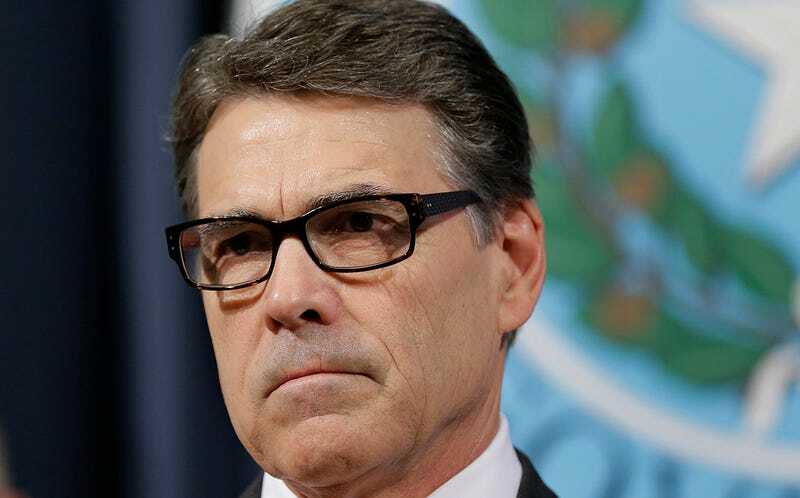 Today, Michael McKenna, who is the Times’ sole named source of the story, told The Daily Caller that the story’s headline and lede “don’t really reflect what I said.” McKenna now claims that Rick Perry definitely knew what job he was accepting when he accepted it.